Let’s begin with an interesting piece of trivia – did you know that November 14th was World Diabetes Day? Do you know why? November 14th is the birthday of Frederick Banting. In 1922, Banting, along with Charles Best, discovered insulin at the University of Toronto. In 2013-2014, about 3 million Canadians or 8.1% of our country’s population were living with diagnosed diabetes. Ninety percent of these Canadians have type 2 diabetes, which is largely preventable. Unfortunately… numbers are increasing! The causes of type 2 diabetes are complex. There are a number of things that put people at greater risk for developing type 2 diabetes. Having a parent or sibling with diabetes and getting older are factors that are commonly known and understood. But, the fact that specific ethnic groups in Canada, including African, Arab, Asian, Hispanic, Indigenous and South Asian peoples, have higher rates of type 2 diabetes is a surprise to many and evokes lots of questions. The inequitable distribution of diabetes can be partly explained by genetics but each person’s ability to be healthy is also influenced greatly by the conditions in which they live, work, play and age – better known as the social determinants of health. People don’t have equal opportunities to be healthy. Newcomers experience many settlement issues that impact their health and there is evidence that stress due to discrimination, racism and social exclusion plays a role in the development of chronic diseases. We also find higher rates of type 2 diabetes in neighborhoods where individuals have limited income. Living with limited means increases an individual’s stress and can limit their ability to eat well and exercise. While these are significant issues that need to be addressed on multiple levels, there are strategies that can be implemented in the classroom to raise awareness and build knowledge about how to prevent type 2 diabetes. 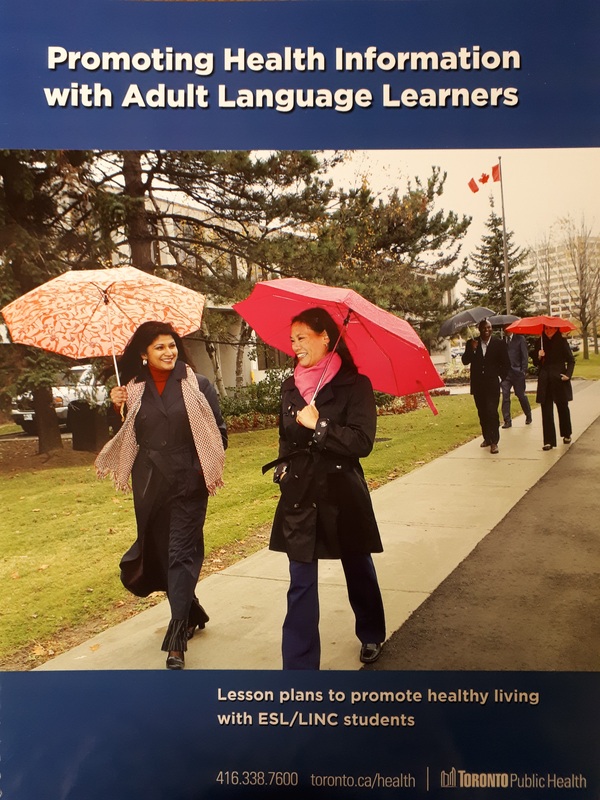 Toronto Public Health’s “Promoting Health Information with Adult Language Learners” resource contains background information and teaching tools on diabetes prevention for ESL instructors. Students can be given statements including “Vijay smokes ten cigarettes per day” and “Kim does not smoke” to determine which person has the healthier lifestyle which may lower the risk of developing type 2 diabetes. The CANRISK (Canadian Diabetes Risk) Questionnaire asks twelve short questions about an individual’s age, family history, health history, ethnic background, lifestyle behaviours and social factors. Students can take the test and learn if they are at high, moderate or low risk of developing type 2 diabetes. This can be a call to action for students to talk with their doctor about getting a blood test for diabetes and discussing things they can do to get healthier. For more writing, reading, speaking and listening activities for CLB 1-6, download the curriculum here. People can’t change their age, family history or ethnicity, but there are things that people can do to lower their risk of developing type 2 diabetes. Encouraging small changes in the school environment can make it easier for students to make healthier choices. Move more – encourage students to go for a walk during their break. Perhaps there is a student who is interested in becoming a walking guide who can organize walks at lunch and motivate others to join in. Sit less – set a timer to go off every hour and have students stand up and stretch during class time. Choose more vegetables, fruit and whole grains and fewer processed foods when planning class celebrations and selling snacks at break. Ask students about their smoking behavior and refer those interested in quitting to Smokers’ Helpline. This free service is available in over 100 different languages. Together, we can prevent diabetes…one step at a time.